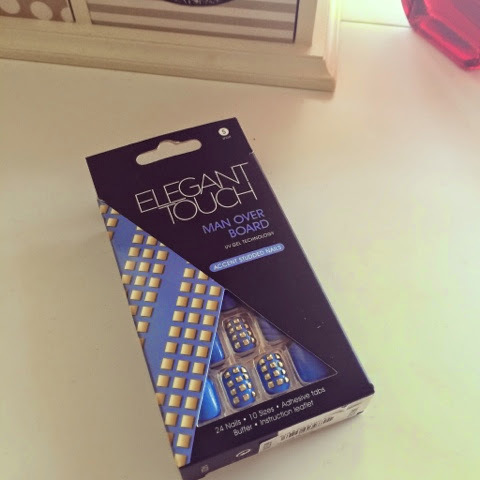 House of Height - Fashion | Beauty| Lifestyle Blog: Elegant Touch Nails! Hi guys I don't know about you but I love the nails from Elegant Touch. See my latest set on my Instagram page. 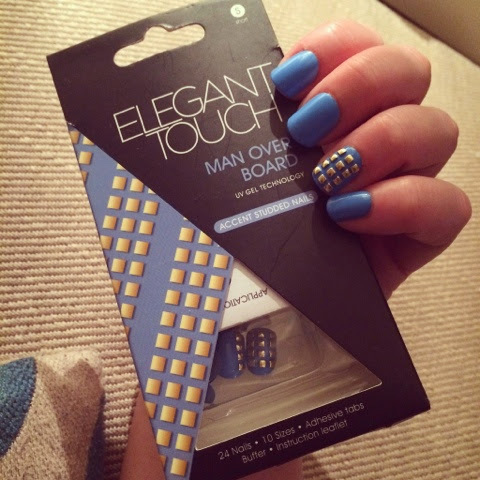 They are called Man Over Board and they are a beautiful blue with studded accent nails included. The packaging is so beautiful and each set contains 24 nails with 10 different sizes. So there are various sizes which should fit most peoples fingers. The box set comes with adhesive tabs which you firstly peel off and stick on to each nail. Then you remove the plastic layer on the tab and place the chosen nail on each finger. Hold it for a minute and the nail will be firmly in place. I have tried different sets and I can get up to a weeks wear out of them. If you want them to last longer you can also buy the nail glue in order for them to last longer. 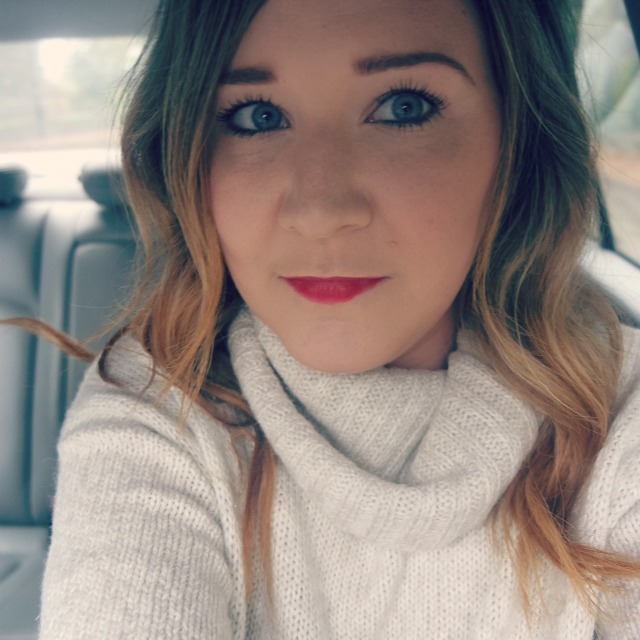 They are perfect if you have an occasion or for a night out and you want to go that extra mile to get the full glam look. They are so affordable with this set priced at £5.99. You can find them in many high street /drug stores including Boots and Superdrug. I actually picked these up from New Look. Check out the Elegant Touch website to view more of their sets at www.eleganttouch.com. 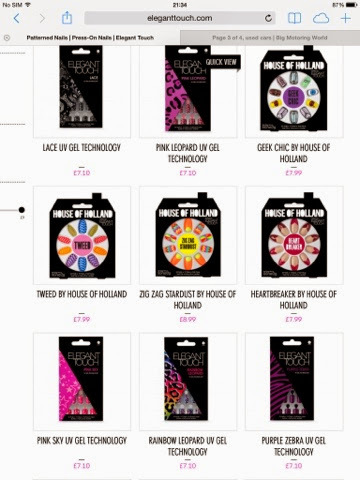 I can't wait to try out the House of Hollsnd sets in collab with Elegant Touch.